It's machine madness! A crazy inventor has built dozens of robot bodies and he needs your help finding the perfect heads. Shake the robot identification device to reveal a robot's features. 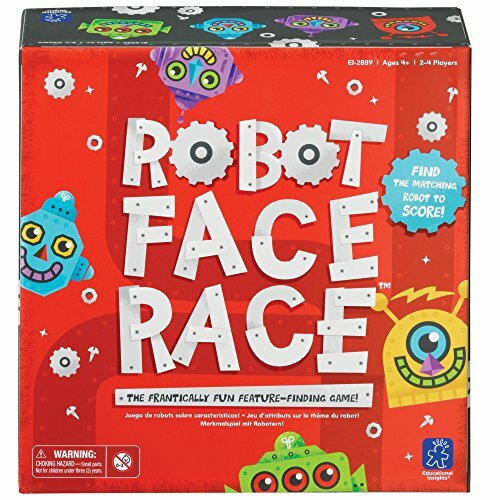 Scan the robot heads on the board until you find the match. Find it first and collect a robot scoring token. The first player with 5 tokens wins! For 2-4 Players. For ages 4 and up - great for non-readers and players who speak any language! If you have any questions about this product by Educational Insights, contact us by completing and submitting the form below. If you are looking for a specif part number, please include it with your message.